Megans Mega Blog: I Won!!! Last month I entered the TopModel Fashion Poser competition which is part of the monthly Topmodel magazine. The fashion poser contest is a designing comp where you are given a brief telling you what you have to design (it also gives you a few ideas for what you could draw). You always have to draw your design for a particular occasion, this time the occasion was a rainbow party! You can see my entry on the left! You are given a plain template to draw on and colour in. There are no clothes on the model already, you have to draw all of that yourself. 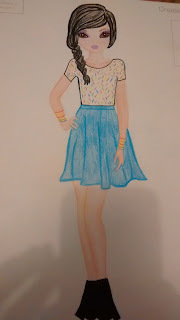 The model (Liv) is wearing a sprinkle patterned tee, a light blue skater skirt, multi-coloured bangles and chunky black ankle boots. The top part of Liv's hair was already printed on but I drew the side braid/plait myself (it has taken me years to figure out how to draw these and so I'm really proud of this one) and I left gaps to make it look like light was reflecting off of her jet black hair. I used a purple pencil and a TopModel natural pink coloured pencil to create her makeup look! 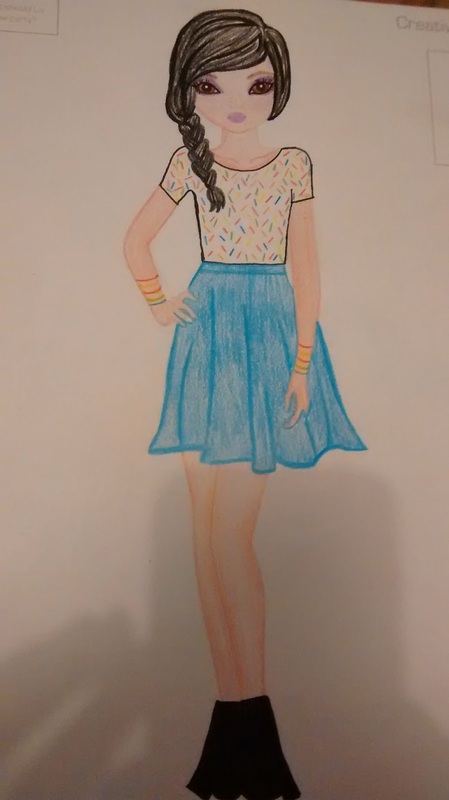 I used Caran d'Ache coloured pencils for most of this design but I also used stabilo coloured fineliners and pinline balck fineliners for small details of this outfit. awesome surprise to receive in the post! 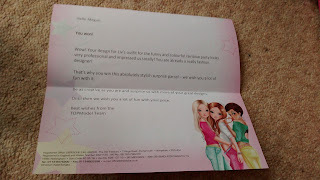 When I opened the parcel I saw a gorgeous bright TopModel branded bag which just caught my eye straight away! The contents were even better than the bag itself though...a stationary set and creative set were inside the bag! I absolutely love both of the TopModel products! If you were to buy these items, you would have to pay £26.99 for the stationary set and would have to pay £8.99 for the creative set! You can buy them online or in local shops. You can make a phone pouch with the creative set. I love this kit because it is quite hard to find phone cases for my phone (I mean they're out there but you would have to buy them online unlike iphone cases which can be found pretty much anywhere). Everything you need is in the kit (even the needle is included). I'm really looking forward to making the phone pouch at some point in my Summer holiday, this creative set is a perfect boredom buster and there are lots of other creative sets on offer from TopModel if you want to buy your own! Everything about this stationary set is awesome (from the obvious down to the labels). Seriously the labels are gorgeous. the price tag says I 'heart' TopModel and looks greats amongst the other labels. The fabric labels say things like catwalk, high heels and TopModel. There is also a glitzy heart charm which is so awesome.Anyway, the ACTUAL product is cool too (xD)! 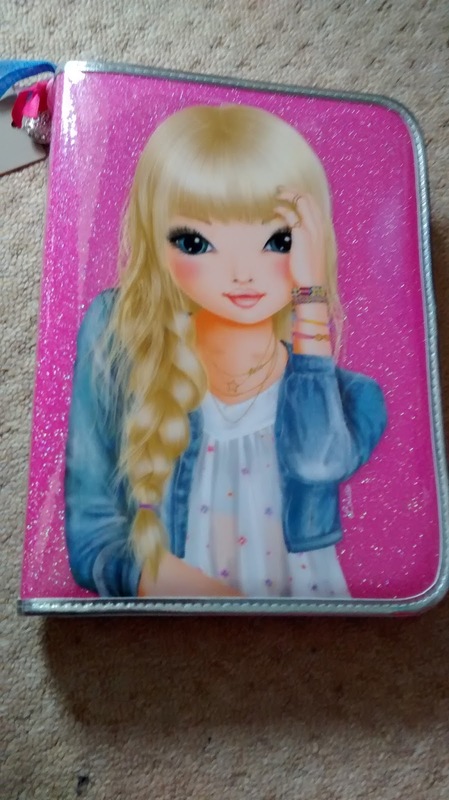 The outside is glittery and has a drawing of one of the models on it. This product is actually quite big for a stationary set but I like the folder size of it. There is a reason for the size too, this set contains SO much stationary! This will be perfect for school! 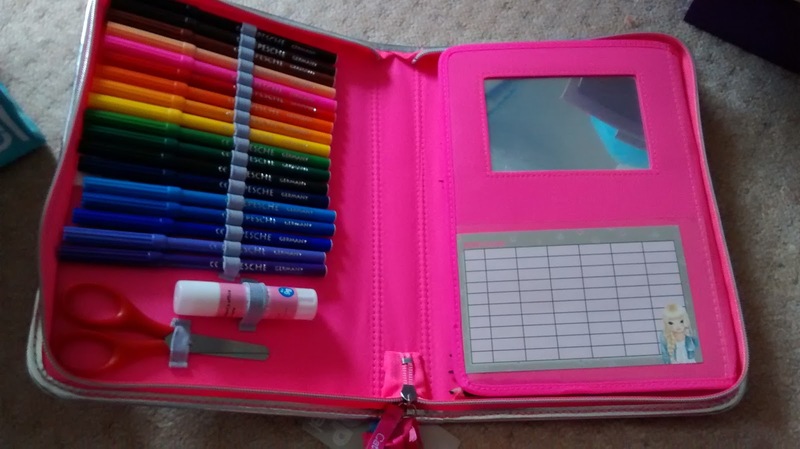 When you first unzip the folder, you can see loads of bright felt tips, a gluestick and scissors. What I love about this first layer is the mirror and blank timetable, this will be so handy! When you fold back the right section, you can see a set of coloured pencils, a rubber, a sharpener, 2 pencils and maths equipment. There is also a pouch for whatever you want and a place for your pen to go. Thank you so much to TopModel for choosing me as one of the ten winners for this fashion poser-I love my prizes (and it's not quite over yet...)! If you want to see my winning entry again then make sure you check out the next few issues of TopModel magazine (its's a great magazine and is sold every month in Sainsburys and other stores), it would be great if you guys could see it! I wonder which winning design will be 'Liv's favourite'?!? Thanks so much (it doesn't look exactly like that but is very similar)! I bet you would be very good at design! :D I hope so, thanks! You're welcome! At the moment I can only draw a basic braid, I should probably practice some different braids before I can draw them without a tutorial! Cool! I love the look of this bag- http://cdn2.bigcommerce.com/server1300/14fa3/products/1515/images/4123/PG8343__25926.1429615566.1280.1280.jpg?c=2 ! I also love one of the new designs of the shopper bag! Hmmm...that's a tough choice! Actually one of the double-page spreads in the August issue was all about this! I suppose the one I use the most is my double model design book (I'm not sure what it is called) but that might not be my fave. There are SO many TopModel products so that makes it very hard to decide (they also change the designs several times a year)! :O I simply cannot decide one but here are some of my favourites (asides from the design books): the natural coloured pencil set (for hair, skin etc), the make-up design book (with real make-up), the stationary set that I won....I could go on! Aw, thank you very much! I'm glad you think so! They were so much fun to draw (especially he circus one, that one took me hours)! :) You're welcome! Thanks, I hope to get into a fashion school! I will! 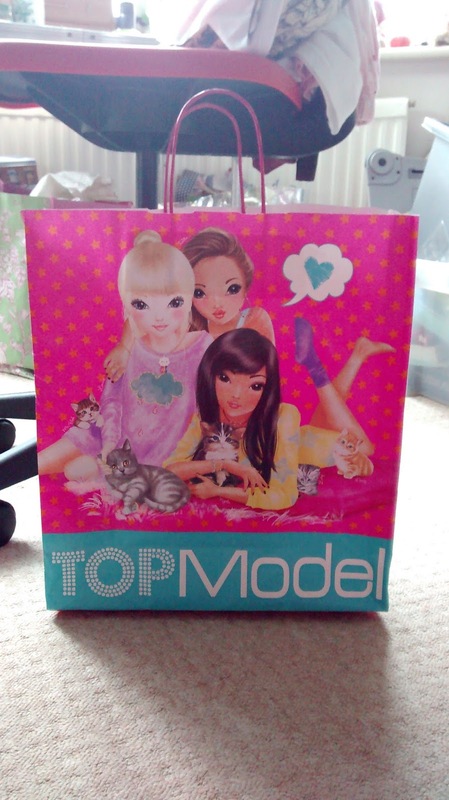 I have a TopModel pencil case too! 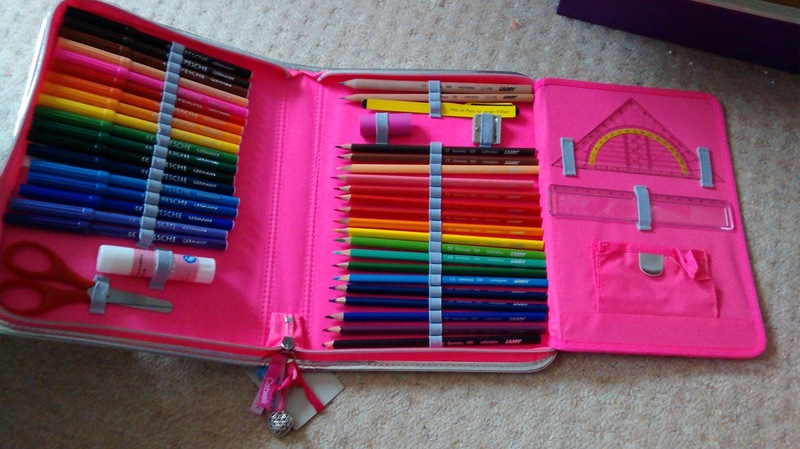 I love the colouring books and stationery! Please vote for me in any competitions - my username on the TopModel website is anael-suissa. How to Prepare for a Talk/Presentation!